A well-groomed pet is a happy and healthy pet! Pamper your furry friends by treating them to a fun and comfortable grooming experience! Visit Just Grooming in Highwood, IL and we will make your pets look good and feel even better. As a full-service dog grooming salon, we guarantee to provide the highest level of grooming and care in a cozy and pet-friendly facility. Not only will your dogs be completely provided for, but they will also feel at home during their stay in our pet salon! Just Grooming is a specialized dog grooming business established in 2003. We have distinguished ourselves for offering high-quality dog grooming services in a friendly and professional environment. Our pet salon’s primary focus is to serve the various pet grooming needs of our clients while providing a stress-free, home-like atmosphere for their beloved dogs. Since the beginning, we have made it our priority to create a positive experience for our clients’ dogs by using products, equipment, and techniques that facilitate their acclimatization to a place away from home. This approach has been consistently successful and to this day, our clients regularly rely on our services for their dog's grooming needs. We understand the important role that dogs play in everyone's life. We are dog owners ourselves and, as such, are fully committed to treating all of our clients’ pets as we treat our own dogs. Our mission is simple, but it has a long-lasting effect on dogs and owners alike. We want to be your trusted partner and source for all of your dog's grooming needs. We want you to be a member of our community—a community that shares the love and genuine interest in taking the best possible care of our dogs. Just Grooming wants to keep expanding its presence in the Chicagoland area. We desire to keep sharing our approach to dog grooming and care with more communities and keep having a positive effect on dogs and their owners during the process. We have been evolving through the years, changing our approach and our ways with the intention of offering unparalleled services that match the changing needs of our clients. We want to become the premier dog grooming business in the Chicagoland area and, eventually, expand into new markets. We are confident that our approach is effective in addressing the needs of our clients and we believe that this will allow us to meet our goals in the upcoming years. 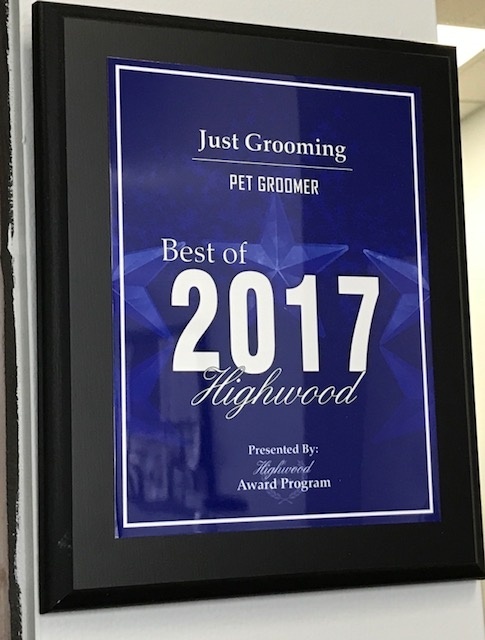 Just Grooming was founded by Lizbeth Avellaneda, a seasoned groomer with over 30 years of experience, in her native hometown in Colombia. She has founded and managed several dog grooming and spa businesses before coming to the United States. She brings to Just Grooming an unparalleled love and passion for dogs and a thorough understanding of how to enhance their lives by taking proper care of their aesthetic needs. 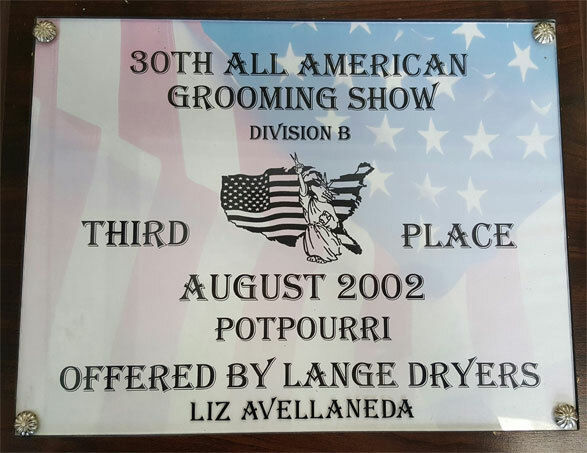 Winning 3rd place in 2002 out of all groomers in the United States, Lizbeth will groom your dogs with excellence and care. Bring Your Dogs for Grooming Today! We understand that your dogs are a part of your family and that you only want what’s best for them. 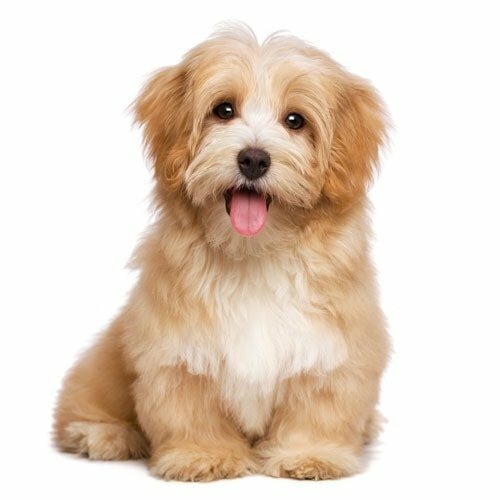 Our pet salon is staffed with highly skilled groomers who will make sure to provide your dogs with personable grooming services and utmost care. Rest assured that with us, your dogs are safe and comfortable. Bring your dogs to our pet salon for a day of pampering! We look forward to serving you.